Do you use your outdoor space, or does it sit unused and unloved as it accumulates a tonne of domestic miscellany, junk and mess? Our outdoor spaces should be cherished and appreciated; welcomed as a healthy area to escape the confines of four walls, breathe a little fresh air and take in some scenery. As well as a relaxation space, patios can be upgraded as stylish recreation places for entertaining friends, family and visitors. “But where does one start?” I hear you ask. To provide a few tips and tricks, inspiring examples and enviable options, we’ve collated 6 of our favourite outdoor patios. Go on, check them out below! 1. The patio that boasts the most! 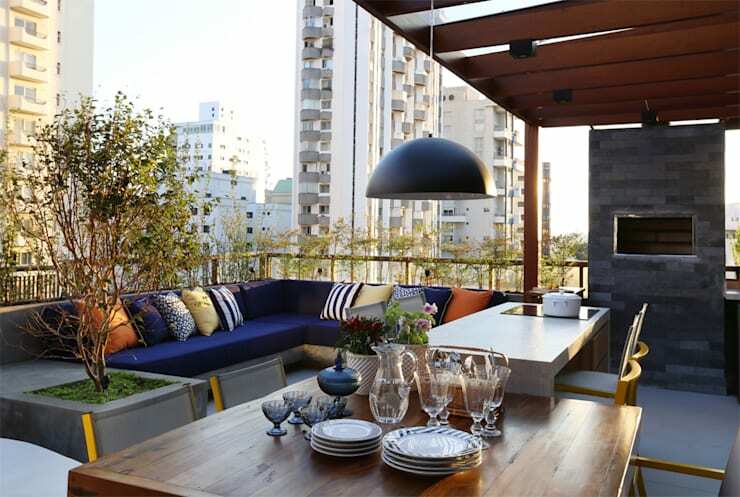 The first patio we are taking a look at is seriously chic and ideal for those residing in Hong Kong. Boasting a small plunge pool for those steamy summer days and nights, along with rustic white wicker furniture that radiates timelessness, this space is an enduring example of how to decorate one’s patio, while retaining a sense of usefulness and liveability. Is there anyone that doesn’t love a good hammock? If there is we certainly haven’t met them! 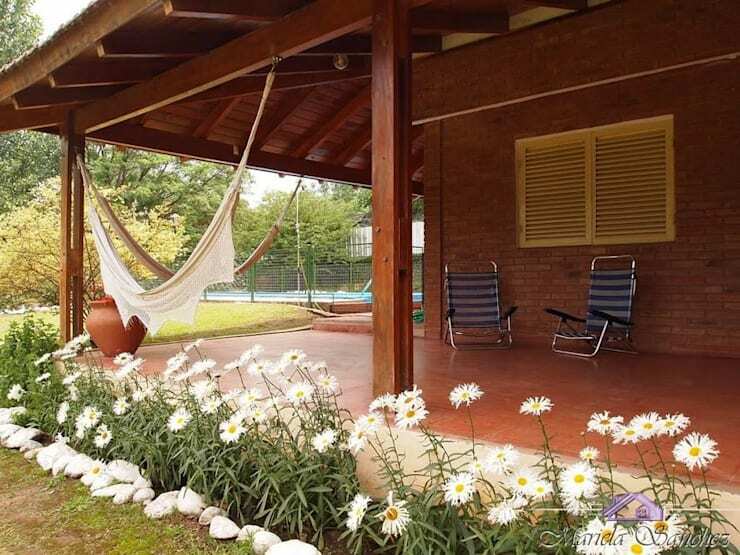 Hammocks ooze relaxation and comfort, while the addition of daisies mean this patio is eye-catching, beautiful and perfect for wiling away a tranquil evening with friends. Perhaps you want something a little more structured? This next example exudes sophistication and style. A corner sofa is perfect for resting or unwinding, while the exterior kitchen and oven provides a spot for meals to be cooked, flanked by a huge dining table that would accommodate an extremely accommodating dinner party. Laid back, casual and uncomplicated, the designers of this rustic option have provided occupants with a meditative space replete with overstuffed seating, mid-century modern furniture and plenty of lush greenery. This is an area that screams style, while also drawing you in to its gracefully refined setup. 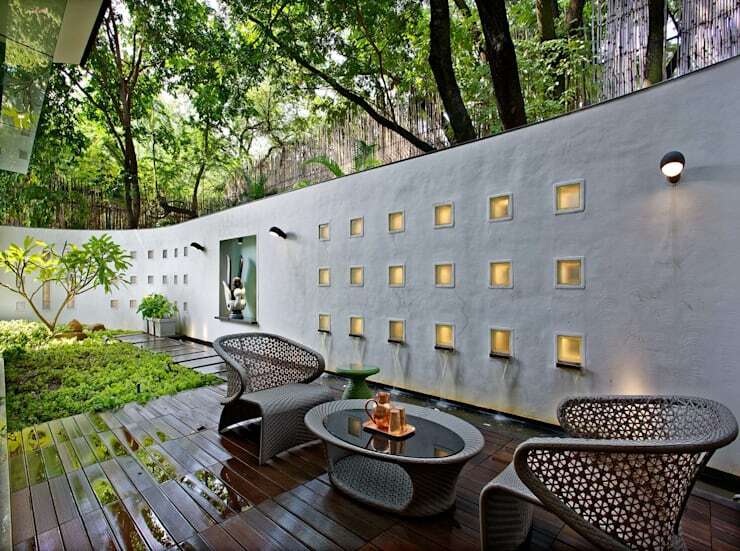 Taking tranquillity a step further, this next example offers respite from a stifling urban environment by surrounding its occupants with ambient light, tropical plant life and subdued, rich hues. 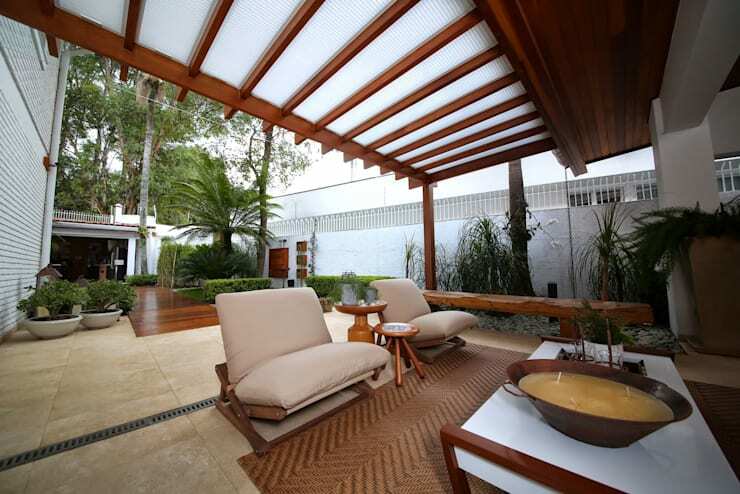 The result is a totally serene experience that is sure to let you reconnect with nature in peace and quietude. 6. The most idyllic spot yet! And i you thought this list couldn’t get any more idyllic, take a gander at this next patio. 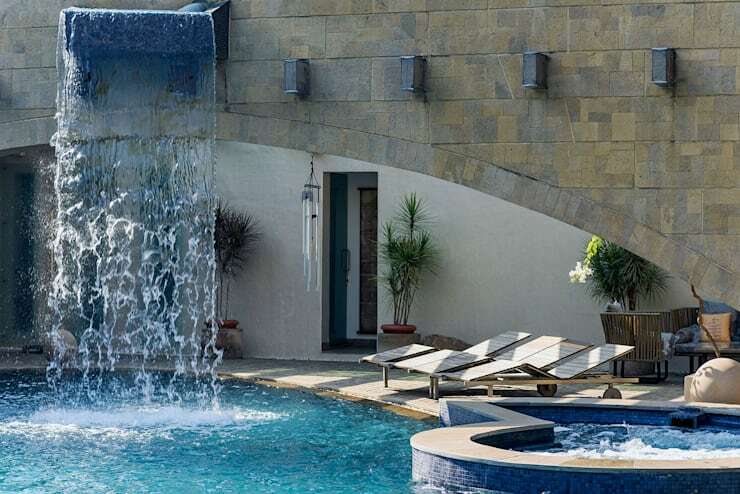 Opulence is displayed in full force here, offering an unmissable waterfall, luxurious deck loungers, Jacuzzi and inimitable sense that you’ve undoubtedly ‘made it’ in life! Which patio would you pick? Leave your selection in the comments!